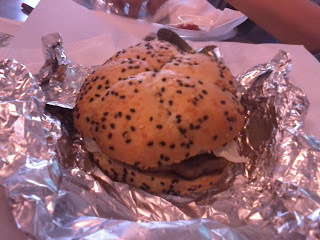 This burger is a current obsession for me and my hubby whenever we go to Greenhills. I find it juicy compared to most burgers. Luckily, Greenhills is near our place so we can satisfy our cravings easily. Imagine driving all the way up to Tagaytay just for a bite of this burger. Insane, right?